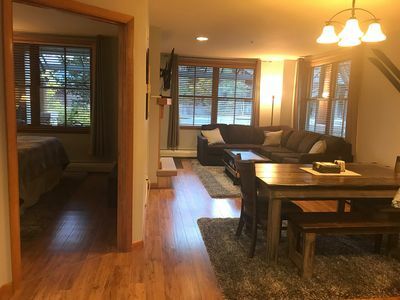 PREMIER SKI-IN / SKI-OUT 1BR/1BA CONDO was newly upgraded in the fall of 2018 with new granite countertops, a 4 seat breakfast bar, new pull-out leather sleeper sofa, new carpeting and more! 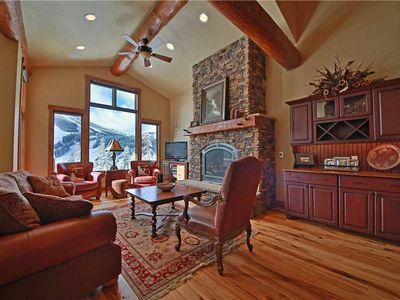 This beautifully decorated upscale condo is located at the base of the ski area at Zephyr Mountain Lodge, with ski-in, ski-out convenience. 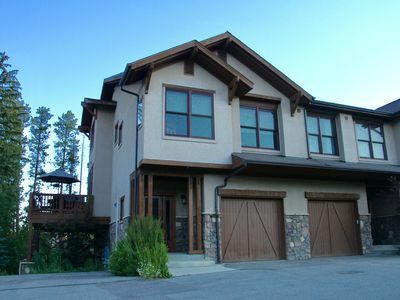 It is the perfect size and layout for a small family or couple seeking an alpine getaway. 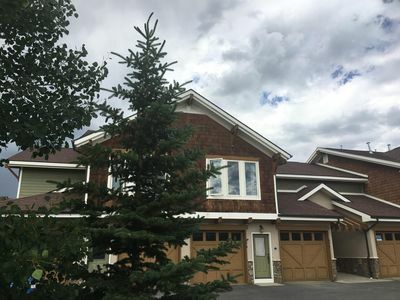 From here, you ll be just steps away from the Winter Park Village and the new gondola lift, a short drive from Grand Lake and Rocky Mountain National Park, and just a few minutes from downtown Winter Park & Fraser, where you ll find a wide variety of shops, restaurants, and grocery stores. 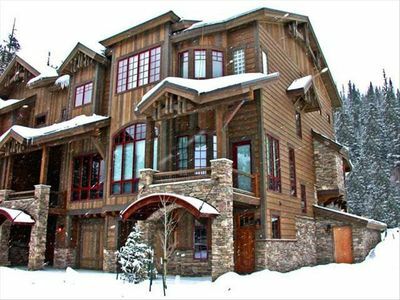 This ski-in/ski-out condo offers an unbeatable prime location for winter skiing adventures and summer hiking & biking! 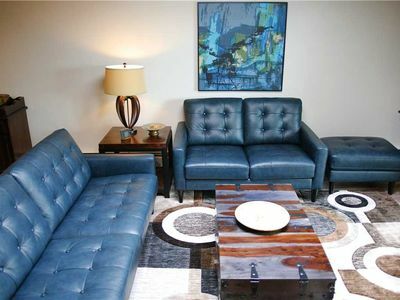 TV s, new furniture including a brand new leather pull-out sleeper sofa, new coffee table, new end tables and lamps, new bedding and more. 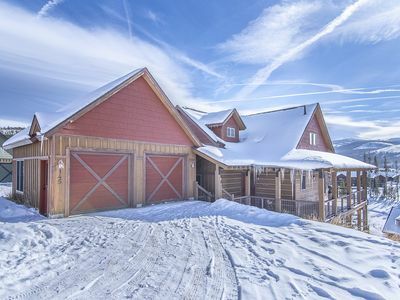 It private balcony and a private ski locker.. Free wifi keeps everyone connected while Comcast cable TV offers entertainment. 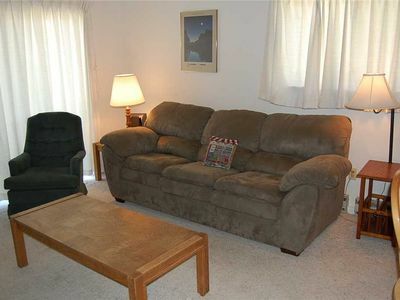 This one bedroom condo can comfortably sleep 4 with a queen size bed in the bedroom and a pullout sofa in the family room. 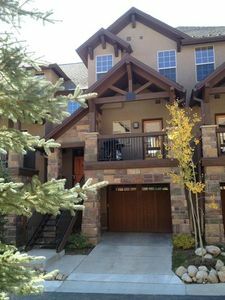 Unit #2223 is located on 2rd floor in the Riverside Building facing The Village and Continental Divide. 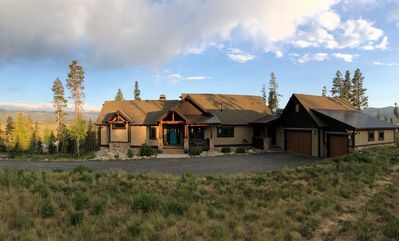 Zephyr Mountain Lodge has four in-ground hot tubs, a fitness room, heated underground parking (garage parking is an additional $18/day, with some conditions for in & out garage access), free off-site parking, free wifi and cable TV., onsite ski shops and is in close proximity to restaurants and shopping. There is also a nearby ice skating ring. 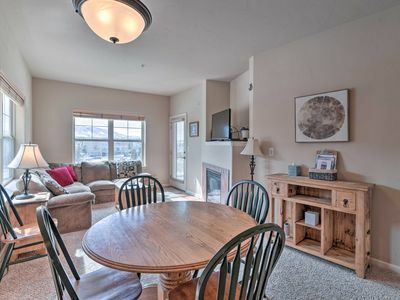 Our Zephyr 2223 condo has just been upgraded with a full service kitchen, newer appliances, slab granite countertops and a breakfast bar with seats for 4.A coin-op laundry with washer and dryers are located on every floor. 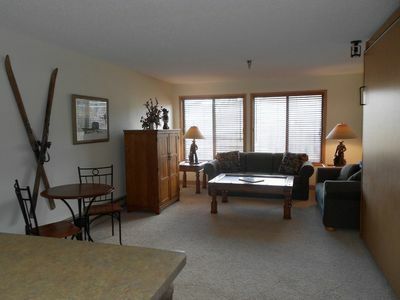 Additional features at this condo include complimentary wireless Internet access, ski storage, and gift shops/newsstands. Guests can catch a free ride to nearby destinations on the complimentary area shuttle. 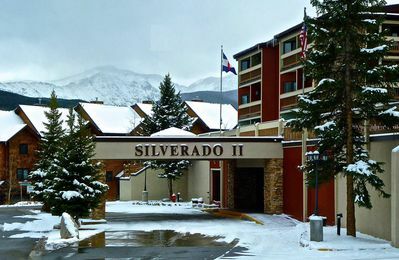 Just take the elevator down, grab your ski gear in the private ski locker and hit the slopes and enjoy an epic Winter Park powder day. It could not be easier! 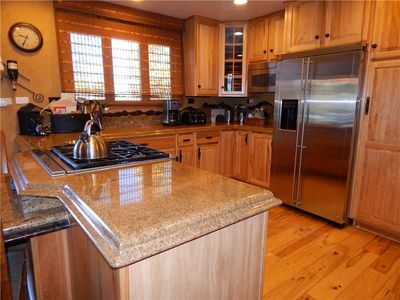 Eat out at one of the Village restaurants or cook up a meal at home in the fully equipped kitchen. 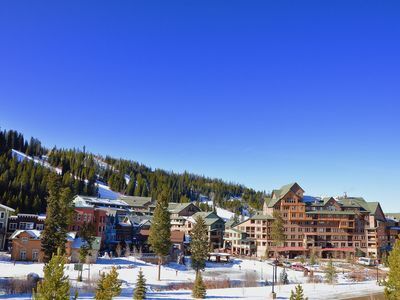 When staying here, you are just steps away from the ski lifts, ice-skating and the Coca-Cola tubing hill. 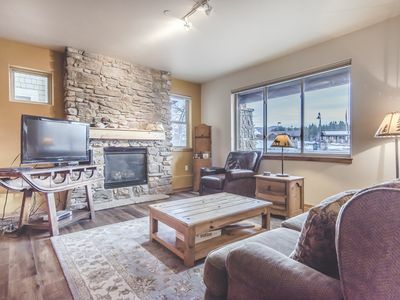 Great location, cozy furnishings & easy access to everything at Winter Park Resort make this condo a great choice for your vacation! 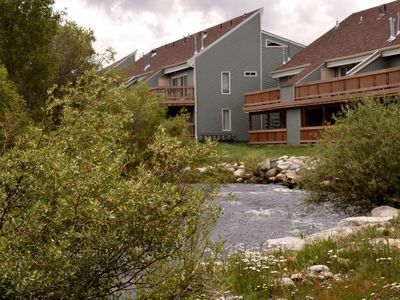 Relax, unwind, and enjoy our Colorado hospitality and make your next stay in Winter Park your best stay!!! We are very glad to have you and hope to have you back, time after time. Sunday to Thursday specials!!! 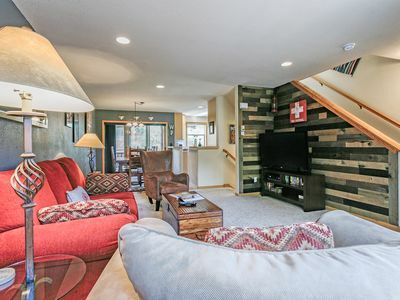 New Carpet! 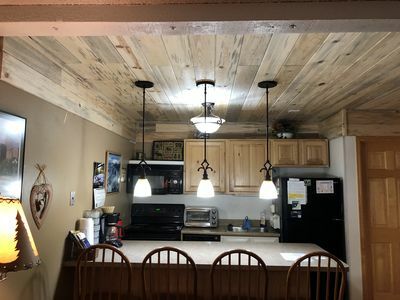 Updates in Kitchen! New Hot Tubs!! 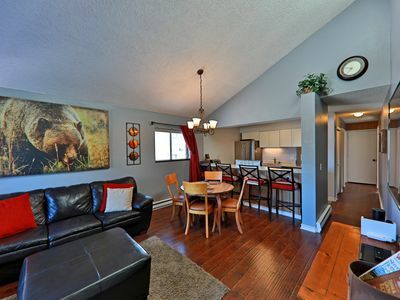 Condo Right on Babbling Fraser River! !